‘Kossak’ kohlrabi; 8 lbs. of deliciousness! What is it about kohlrabi that is so intimidating to so many people? I know that it is the single most feared vegetable among our members (survey says! ), but everyone that actually tastes it finds themselves very pleasantly surprised! Kohlrabi are very patient. They will wait in your refrigerator in fine condition, changing very little as the months drag on, for you to work up the courage to peek inside and be…pleasantly surprised. Just yesterday, we had a visit from a winter share member, who upon seeing me with a large kohlrabi in hand on its way to the chopping block, confessed that he recalled seeing one somewhere in his home recently; fridge or garage perhaps, that he had received in his last winter share delivery box. “What do you do with those?” he asked. It’s true. 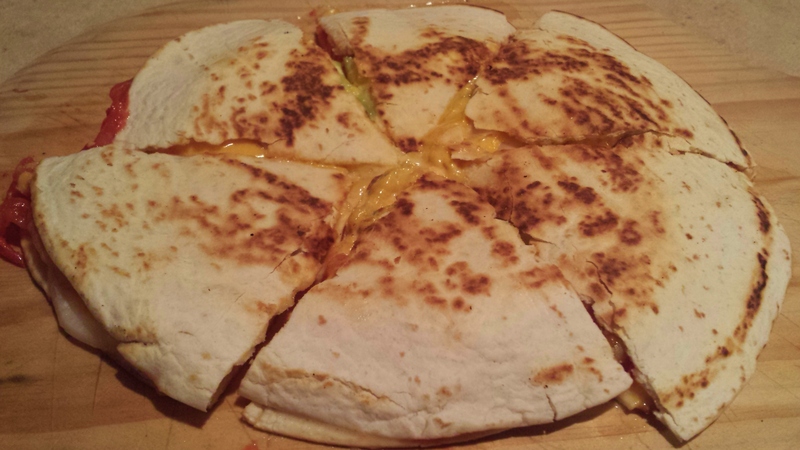 They are like cutting into a waterfall, (okay, not quite), but they are juicy. They are very mild tasting, and every bit as satisfying to nibble on as raw carrots can be! If you like to have raw fresh veggies as a snack, kohlrabi should not be overlooked. If ever there was a case for not “judging a book by its cover”, kohlrabi is at the top of the stack. We only grow and send these out for our winter CSA shares and winter markets. 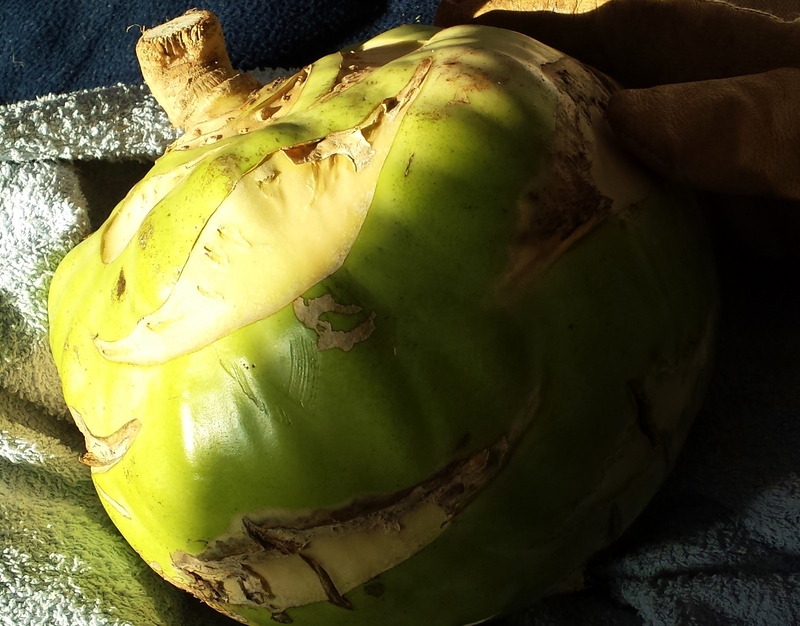 It is a common assumption with many people that the huge kohlrabi’s that shows up at fall farmers market stands are “woody” on the inside and therefore inedible. The large kohlrabi is really just a variety that is intended to grow to that size. 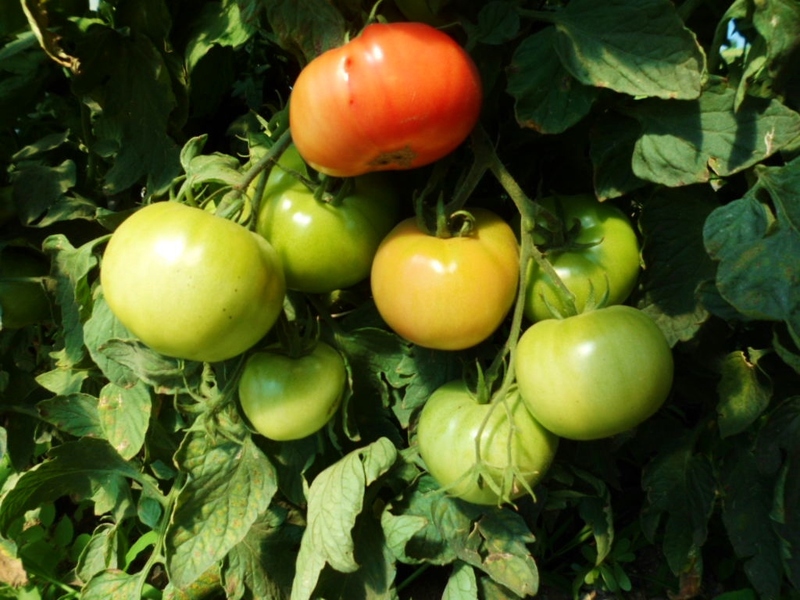 There are the smaller green or purple varieties that you see most often in the supermarkets and then there are the storage varieties that you don’t see in the supermarkets. 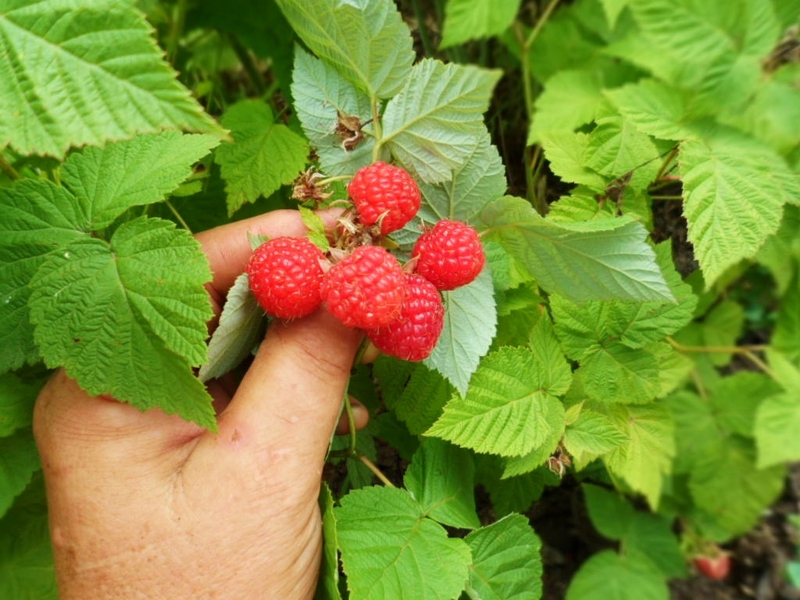 Our favorite is ‘Kossak’, a storage variety that can grow to sizes as big as 8 lbs, as the one in the picture did, without losing any of its quality. The storage varieties are one of the best vegetables to just have on hand and slice off what you need for raw snacking, salad, or as an addition to a cooked meal and then wrap what remains of it for future use. 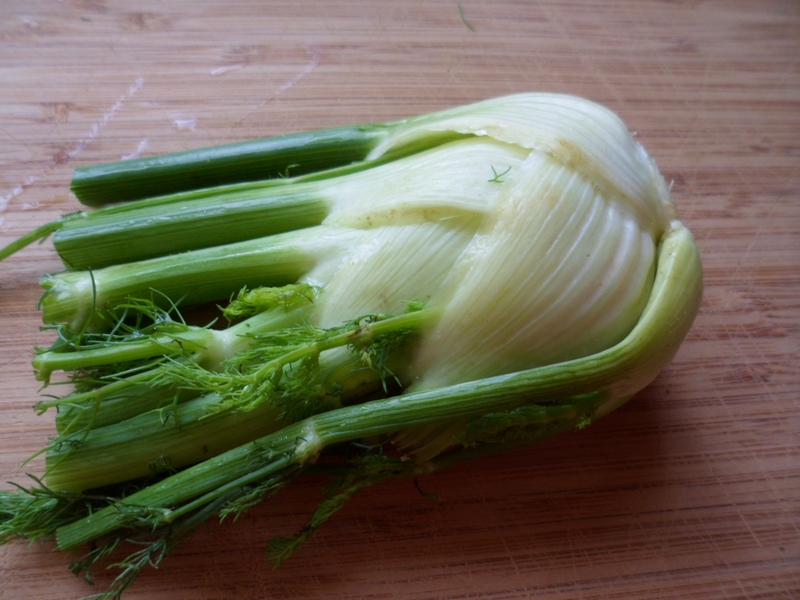 You can also do this with cabbage, celeriac, and Daikon. And with a large kohlrabi, you can be sure that you have enough to create most kohlrabi recipes! So what DO you do with them besides eating them raw? You can add them to just about anything. (Maybe not desert.) Not just to do something with them, but because they are very tasty. Use them as a substitute for, or along with broccoli or cauliflower in stir-fry’s or soups. Their flavor and texture is similar, but a little milder flavored. Cut them into cubes, slices or matchsticks. 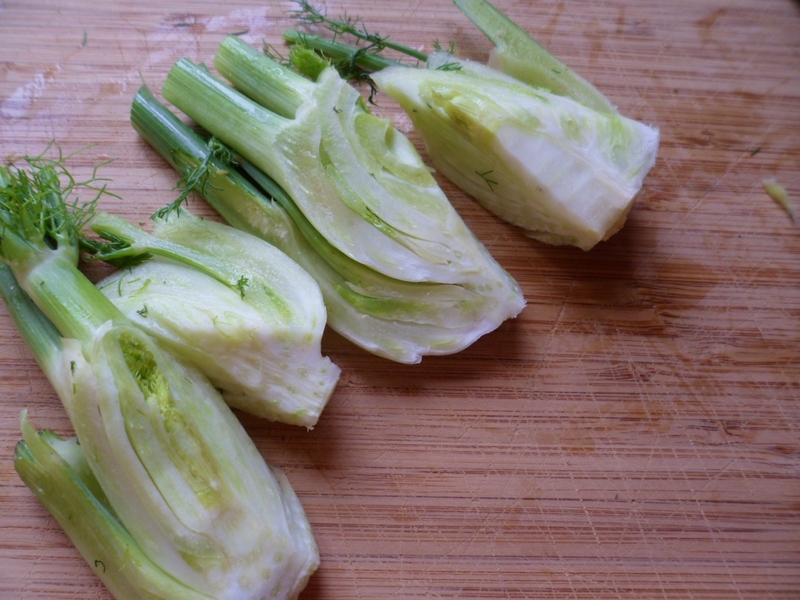 They are delicious cut into small cubes for an ingredient in a pasta salad or my favorite: tabbouleh. 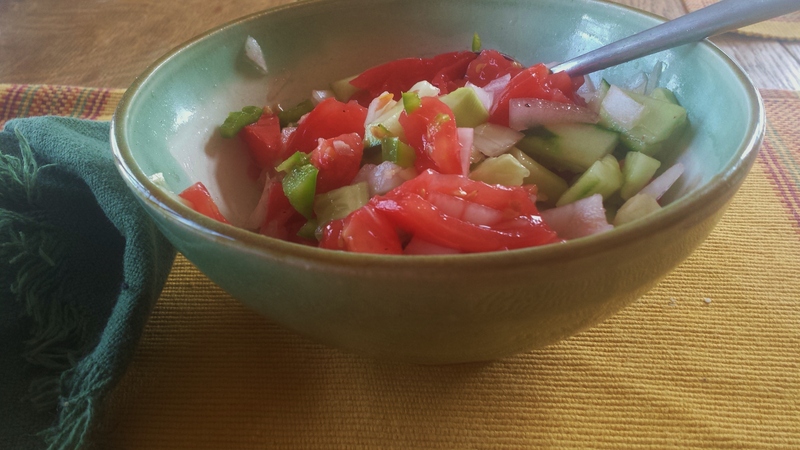 Their crisp juiciness makes them a good substitute for diced cucumber in that dish! You can even pickle or ferment them as you would cucumbers. As for last night’s melon-sized kohlrabi, I had no plan to start with, really. It grew from my husband suggesting that we make something with the nice bacon that a friend had brought over for us. He was probably thinking of something more on the lines of a BLT, or something equally mouth-watering, but I had a hankering for kohlrabi, since I had just returned from delivering some to a local restaurant. Yes, bacon and kohlrabi it would be. I had grabbed a few other vegetables from storage on my way into the house and laid them all out on the counter, and then a fairly quick meal was born. It was not too bad! It made a fine meal for the 2 of us and the leftovers were good for lunch the next day. 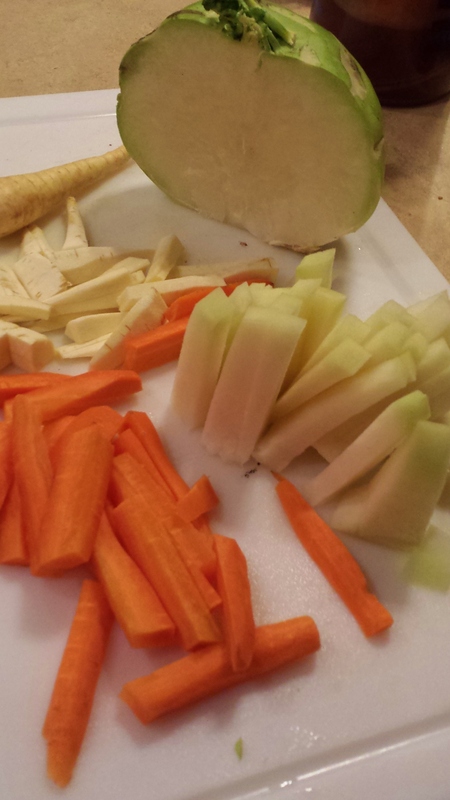 I only used ¼ of the kohlrabi, and part of that was even saved for snacking on the next day with some carrot sticks. I loosely wrapped the remainder and put it in the fridge for another day. You get a LOT of mileage out of these large kohlrabis! Prepare vegetables. Cut squash in half lengthwise and remove seeds. Cut in half crosswise and then cut sections into matchstick strips. In a heavy skillet, sauté the onion in oil over low heat until clear. Add garlic and sauté for a minute or 2. Add spices and stir. Add squash and stir into onions. 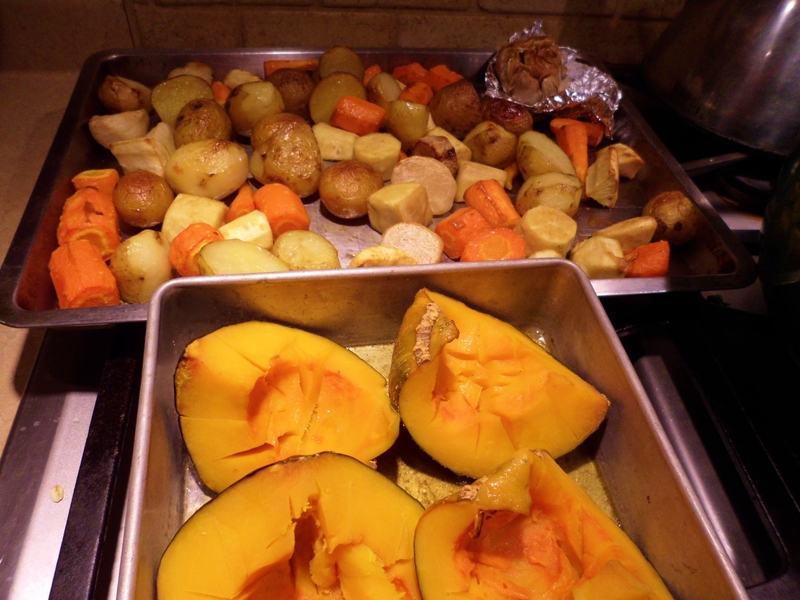 Cover and let the squash cook and steam for about 10 minutes, stirring occasionally, until it is almost fork tender. You may need to add a few Tablespoons of water to prevent them from burning. Add remaining vegetables and tamari. 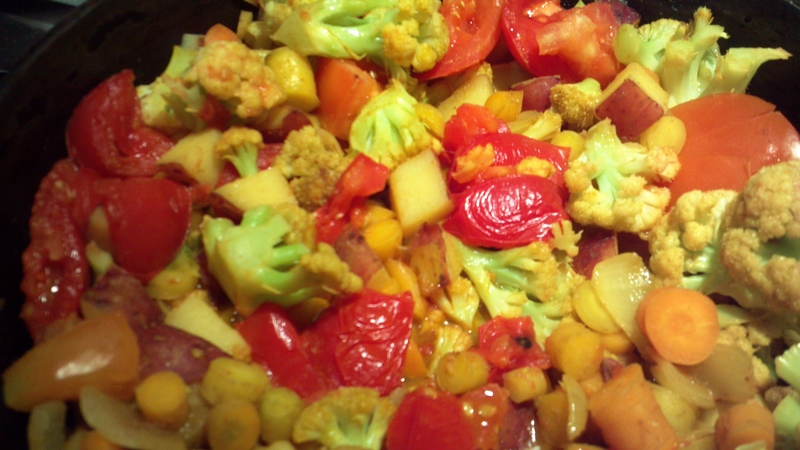 Cover and cook, adding more water if necessary, until vegetables are crisp-tender. Remove from heat and toss with noodles, crumbled bacon, and cheese. Serve. 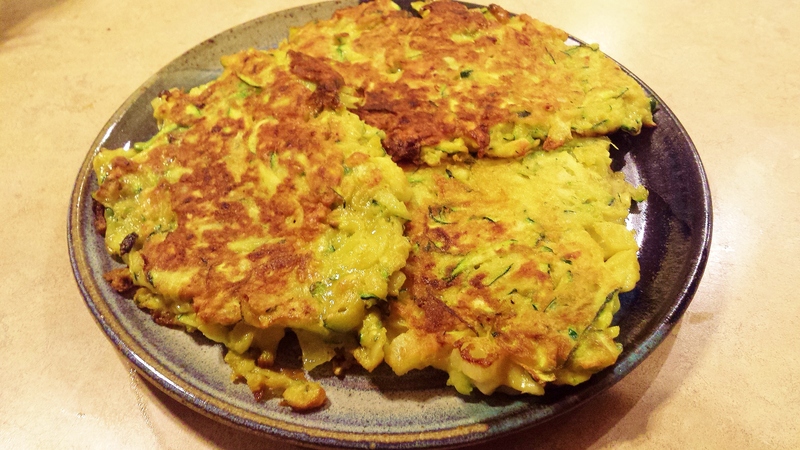 This entry was posted in Uncategorized and tagged CSA, Kohlrabi, recipe, storage vegetables, vegetarian, winter vegetables on 18 Jan 2014 by Meg. It was a good night for soup! With a fire burning and the oven fired up to roast veggies, the house is nice and toasty on this 5° evening. There was a welcoming fragrance of roasted root soup when we came in from outdoors. With a basket full of roots and a small buttercup squash from last year’s harvest, I made this very satisfying soup for dinner. 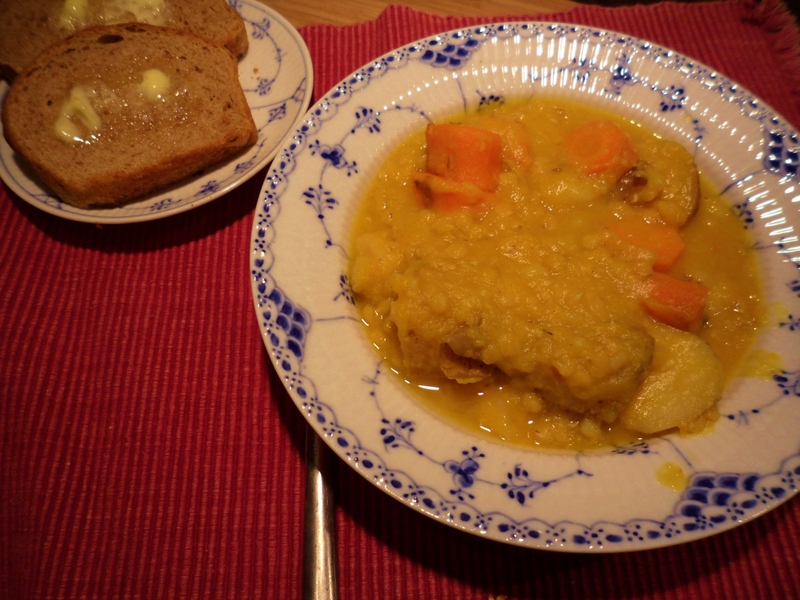 The combination of tender Yukon Gold potatoes, orange squash, carrots and red lentils gave the soup a beautiful orange color as well as the wonderful blend of flavors. The warm Swedish Rye bread that came from dear friend Sheril (a.k.a. the Bread Lady) at the market Saturday and hand-rolled butter that was also purchased at the winter market made a perfect pairing as it turns out! This makes a nice big pot of soup, enough to serve 6-8 people would be my guess. We have plenty left over; it is nice and filling! 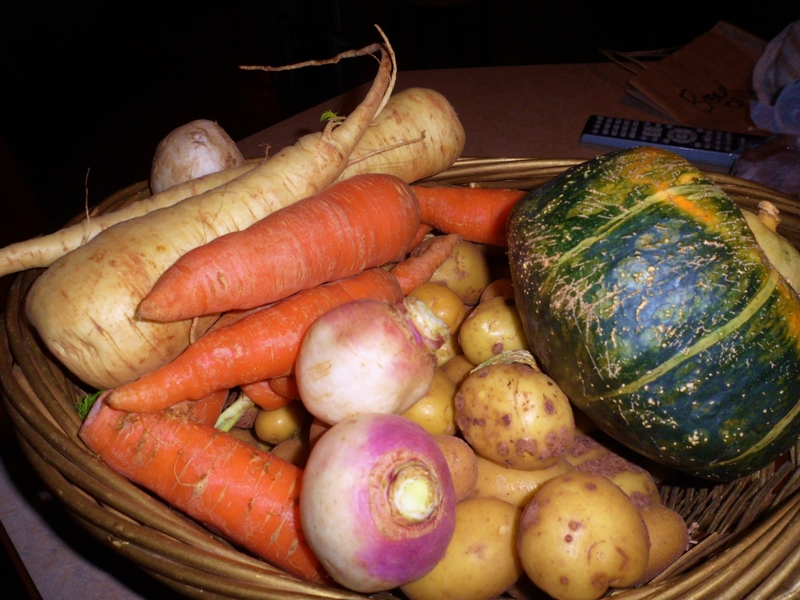 This entry was posted in Cooking, Recipes and tagged bread shares, carrots, CSA, parsnips, Potatoes, roasted root veggies, root veggetables, soup, squash, turnips, vegetarian on 15 Jan 2013 by Meg.